Soggy shoes and socks can be very uncomfortable. 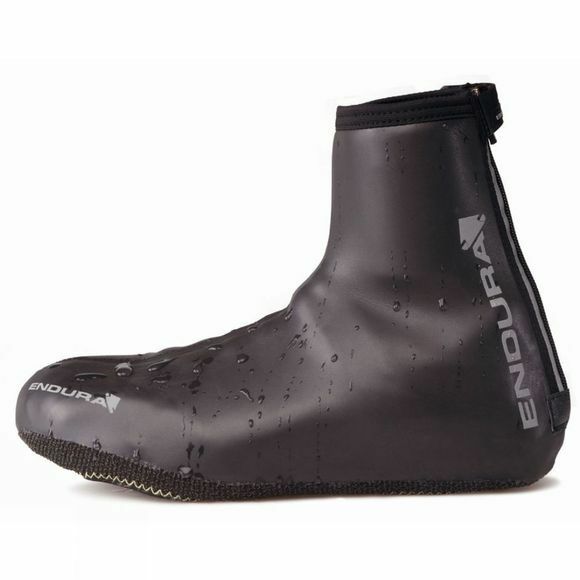 But luckily Endura have the Road II Overshoe, to overcome this. With a smooth faced Neoprene® upper and welded centre seam, heavy weather protection will help to keep the wet weather out. Kevlar faced base will keep the sole protected and lasting longer, when you're off your bike and walking around.